Miss Trisha Paytas - YouTube's pretty, curvy blond bombshell from the USA is a super-chatty crazy gal who doesn't give a sh*t what people think about her, and is probably a Youtuber I didn't think I'd ever watch but I really enjoy her bubbly hyper personality and crazy haul videos! She inspired me to even look at the alternative website Shop Jeen resulting in a over the top wishlist of crazy fashion things I just need in my life. It's not to everyone's taste but I really would like to jazz up my room with some crazy pillows or buy a few fashion pieces that aren't everyday and feel more original. 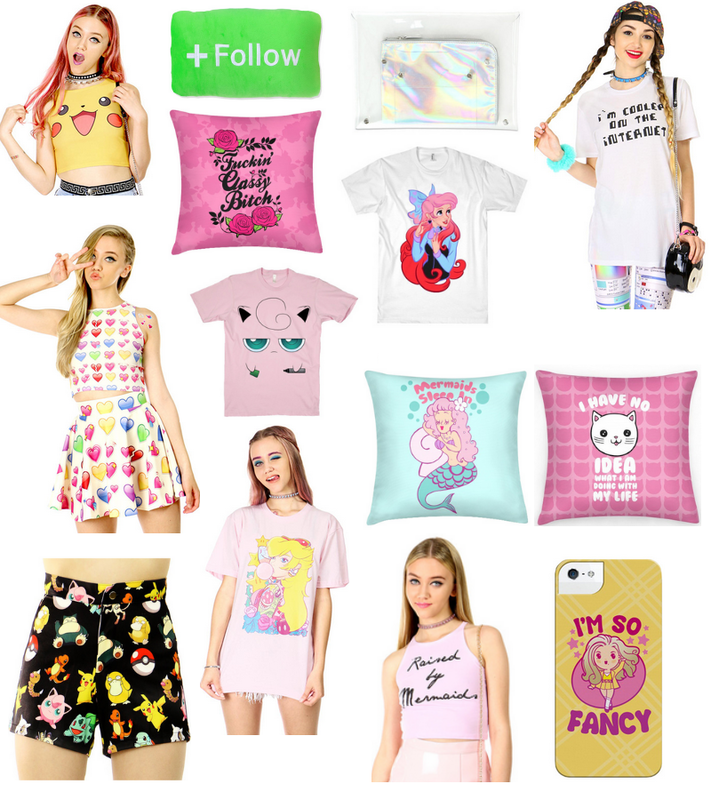 From crazy pokemon print shorts, to swear words on pillows, emojis on clothes and alternative cartoon girls... I think I want it all. I'll stop the line at having Ryan Gosling's face all over a pair of leggings, or THIS, but I did for a split second question the idea of Eminem's face all over a skirt just for the Wembley gig. The things these guys make are just crazay! Have you had a look at Shop Jeen? What's the craziest item you'd purchase! ?